Our new "Fancy Swirls" figure skating jacket is crafted from high performance Polartec power stretch fabric. 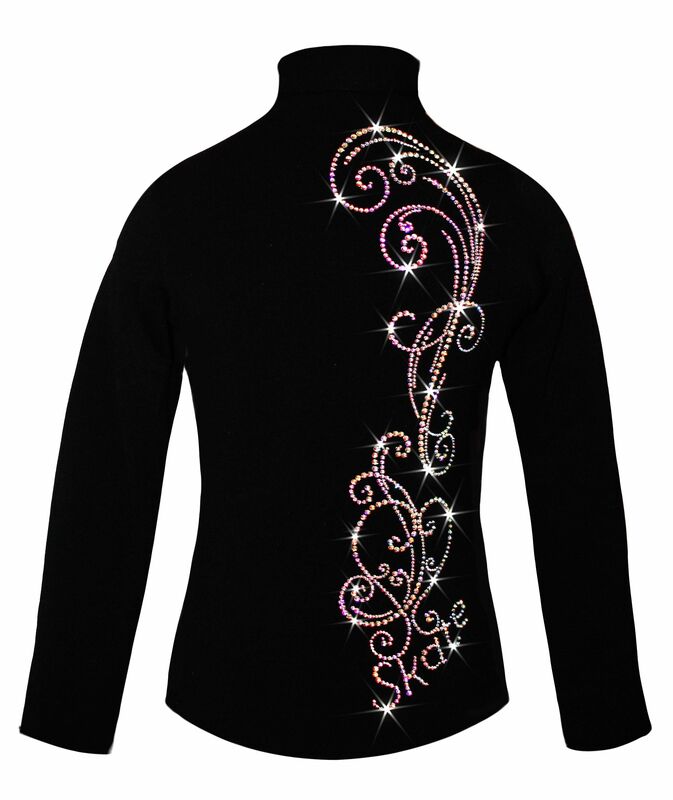 It is made to minimize moisture and chill while allowing you a full range of motion for ice skating competition warm up or everyday practice skating routine. The jacket features front and back applique and contain more than 1000 rhinestones. This premium quality figure skating jacket comes in a traditional "fitted" skate fashion style without a hood. 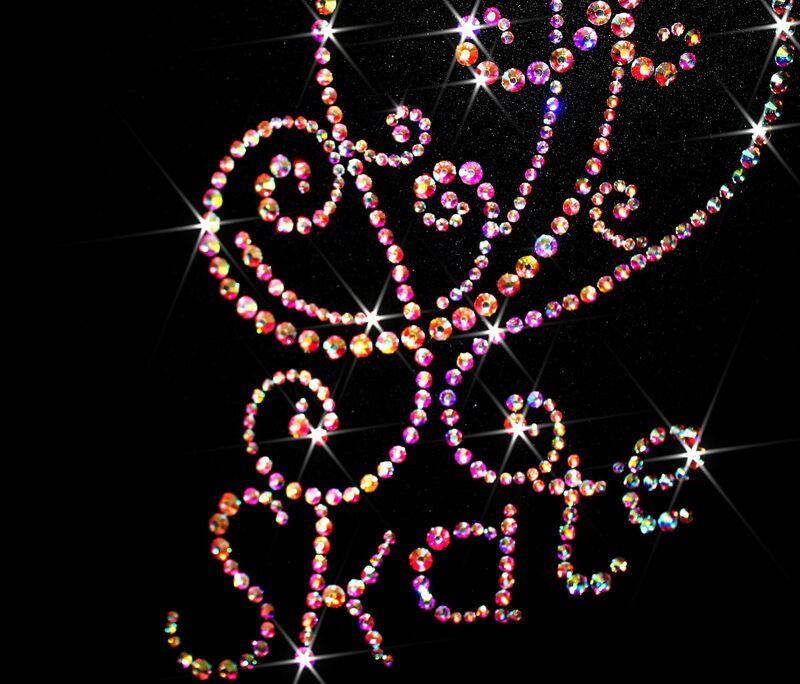 Our ice figure skating jackets will be are perfect skate wear gift for anyone who enjoy skating.